crafty goodies: Try It Tuesday~ Idea, with an old Polaroid camera. 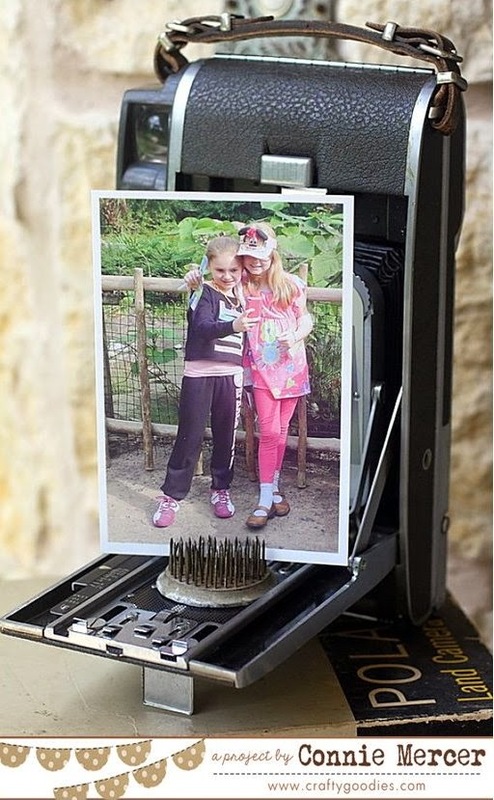 Try It Tuesday~ Idea, with an old Polaroid camera. My mom handed me this but in the box and asked me if I would be interested in this. She said my grandpa bought it in 1958 and gave it to my grandma for Christmas that year~ I never even opened the box, I just said yes!!! Makes a GREAT photo display piece~don't you think? The camera had not been used very much because the film and film developer (solution) was expensive, too expensive for my grandparents to be snapping tons of pictures. After you took a picture, you pulled it out and put the solution over the picture.~ if you failed to use the solution the photo would go black. This camera ,on Ebay, sells for about $40, if you have the leather case it came with ( sold separately), about $100. It doesn't matter to me the monetary value, but I adore having a piece of family history!! I have one photo that was taken with this camera and it had to be restored because the quality was so bad. The photo had already started to fade really bad. My dad and his girls~ sis and me!!!! Priceless, especially the photo of your Dad and the girls. Some of Bob's best color photos were with a Polaroid. (a little later model) My Dad had one from this era and the images fade away. 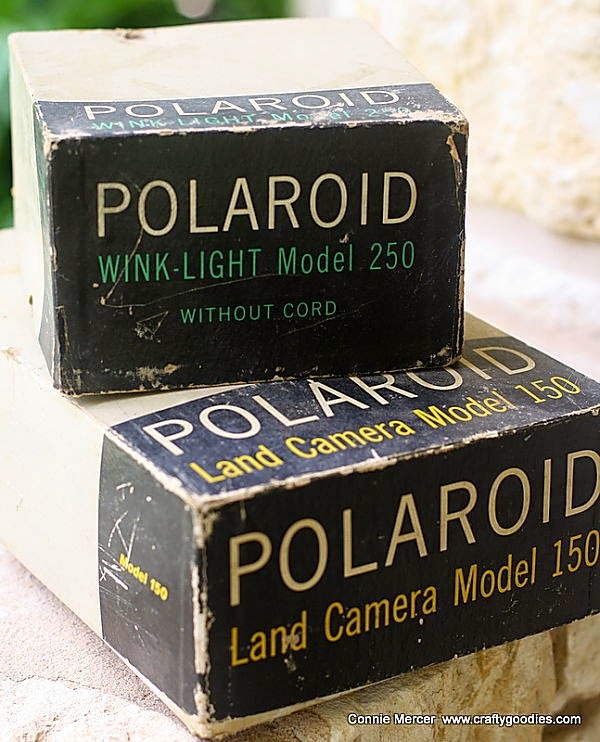 I remember Christmas Day photos in the 50s and Dad rolling a coating on the photos after taking them out of the camera and the smell:) Like your display. Wow!!! What a treasure!! I loveeeeeeeee it!!!!! How awesome! 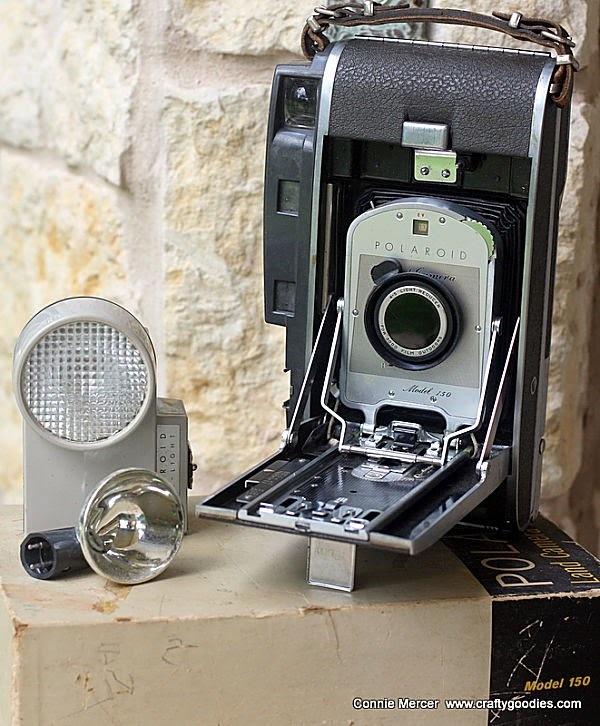 I just bought my first land camera from the JBS Mercantile Flea market.It's a cool decoration to have, though I am hoping to refurbish mine to work. I plan to make an attempt. At the worst, I will have a cool decoration. What a precious gift this is. 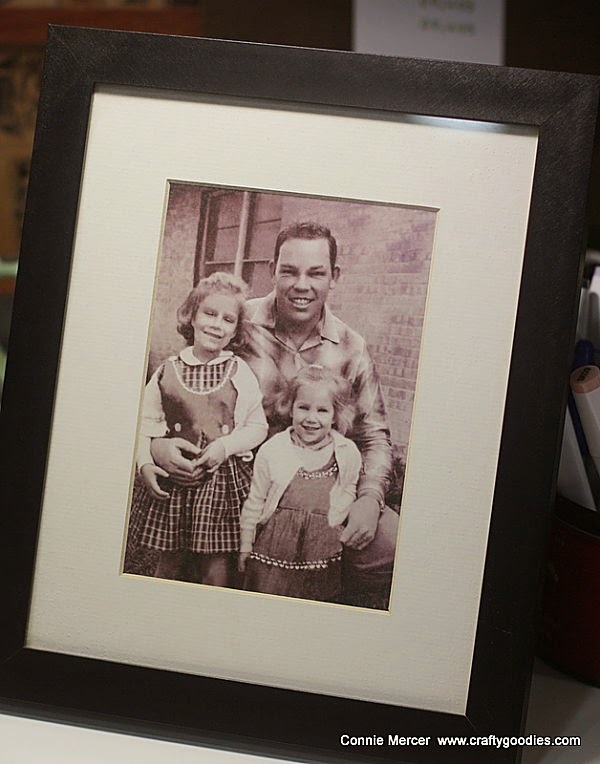 I love the way you're displaying the adorable picture of your granddaughters. A family treasure indeed! All of this is really cool but I especially love the pic of your Dad and you and Cindy. Priceless! Avocado Arts~ Enjoy the Journey! Try It Tuesday ~ junkin' at Moms!!! The Curtsey Boutique~ A special one! Handmade ~ envelope bag and photo clip. Try It Tuesday~ a baby shoe pin cushion! Clear Scraps card~ Call Me!!!! Try It Tuesday~Remember this old bucket? Celebrate, the 4th of July!!! !